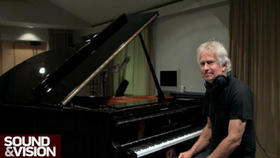 Tony Banks is a founding member of Genesis along with Mike Rutherford, Peter Gabriel and Anthony Phillips and, after a few incarnations, the band evolved further with the introduction of Phil Collins, and with Steve Hackett who replaced Phillips. Genesis became one of the major exponents of progressive rock music in the early seventies. In 1975 Peter Gabriel left the band to pursue a solo career and Phil Collins replaced Gabriel as lead vocalist. Genesis went on to become one of the most commercially successful bands of the 1980s and 1990s with albums such as Duke and We Can't Dance. Tony Banks has pioneered many unique keyboard and synthesiser sounds throughout his career. Music historian Wayne Studer referred to him as "the most tasteful keyboardist of prog rock". In addition to his five solo albums A Curious Feeling (1979), The Fugitive (1983), Bankstatement (1989), Still (1992) and Strictly Inc (1995), Tony Banks composed the soundtrack for The Shout (1978) (with Mike Rutherford), starring Alan Bates, Lorca and The Outlaws (1984), and Quicksilver (1986), starring Kevin Bacon. The music from these two latter films ended up on an album entitled Soundtracks (1986), with Toyah Wilcox, Fish from Marillion and Jim Diamond. When Michael Winner invited Tony Banks to write the score for his film The Wicked Lady (1983), starring Faye Dunaway, it gave him the opportunity to work with an orchestra, which he had not experienced before. The arranger Christopher Palmer was brought in to orchestrate his piano scored music. 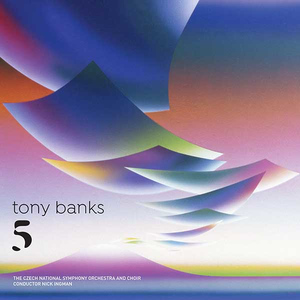 In 2004, as a result of that experience, Tony Banks was inspired to record his first orchestral album Seven: A Suite for Orchestra with the London Philharmonic Orchestra, for Naxos. 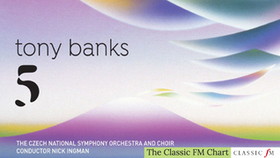 Ivan March in his Gramophone review said of Seven, "A rock musician goes ‘classical' – with pleasing and often effective results… for Banks has a genuine melodic gift… The recording is good, … acceptably spacious …"
Five is a collection of five compositions written by Tony Banks and was produced by long-time collaborator Nick Davis. 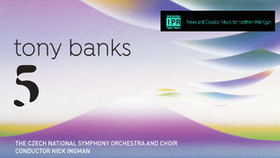 Nick Ingman, renowned orchestrator and conductor, agreed to be involved in the project immediately after hearing the demos played to him personally by Banks. 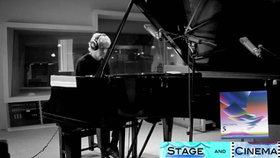 Ingman has worked with a plethora of artists and musicians from David Bowie and Oasis to the London Symphony Orchestra and Royal Philharmonic Orchestra.